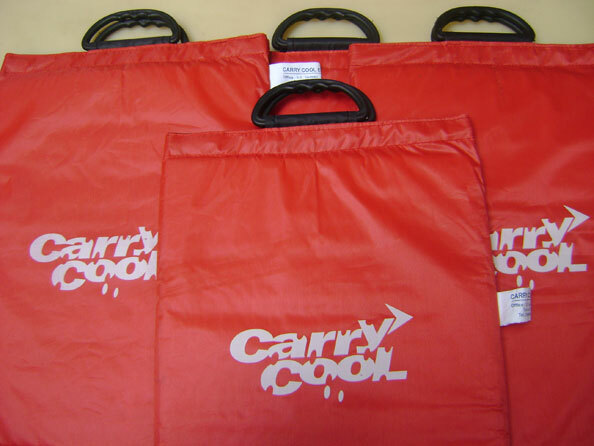 Carry Cool & Carry Hot Best quality insulated bags for transportation & distribution of Ice cream, Frozen foods & Hot stuff. 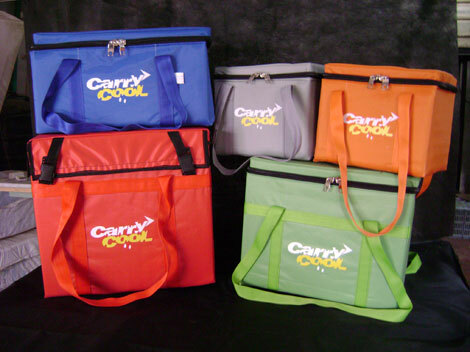 Specially made Insulated bags to suit every purpose. *Dimensions are outer dimensions in mm. Standard Sizes available for Ice Cream/frozen food del Bags, Flexible Bags. 1 Big - 800(L)x 300 (W) x 550(H) - Capacity 120Lit. 2 Medium - 550(L)x 300(W) x 600(H) - Capacity 90Lit. 3 Small - 550 (L) x 250(W)x 400(H) - Capacity 50Lit. Size : 380 mm (L) 260 mm (W) X10 mm (T) thickness. Home Delivery. Marriage Party deliveries. 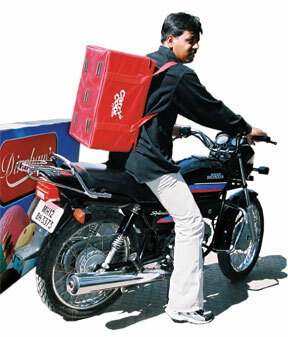 Hotel & Canteen deliveries. Gift for distributor, dealers & regular customers. Economical. Best suited for two wheelers. Supplied with freeze pads (-18 deg C). Attractive colours, waterproof and light weight. Neatly fabricated with imported nylon cloth. Available in various sizes & colours. Specially designed with high density synthetic insulation for better performance. Keep all the pads/pouches in the freezer compartment of refrigerator at least for 8 hours before use. Take out boxes containing frozen stuff from refrigerator and place the same inside the insulated bag. Arrange all the frozen pads/pouches around the product from all sides. Close the insulated carrier lid for carrying it to the user point. 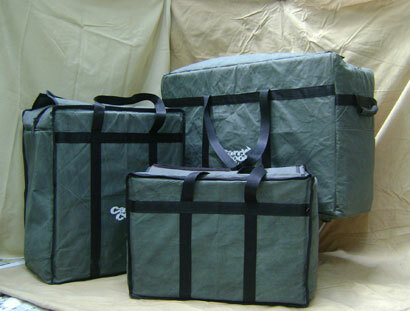 For best result, fill insulated carrier to its maximum capacity with out leaving air gaps.